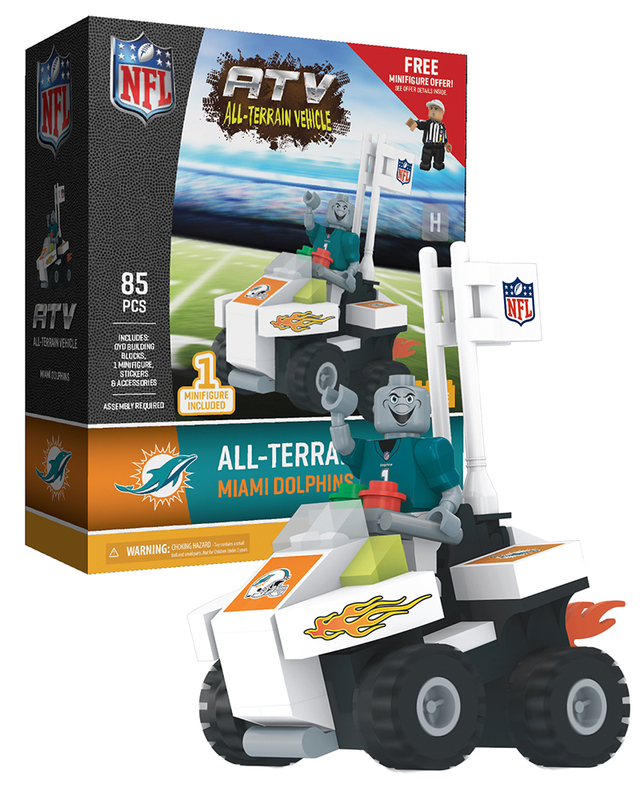 Are you ready to experience NFL action like you never have before? 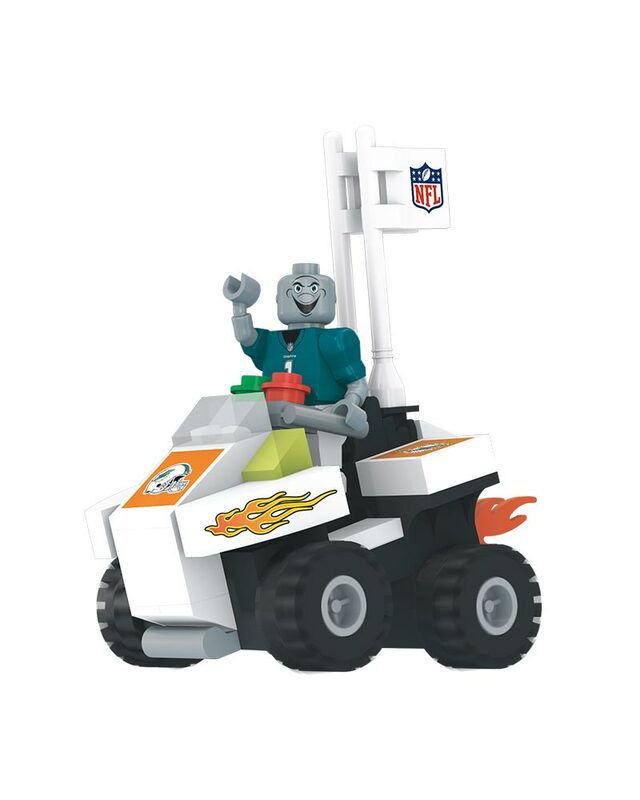 Introducing our drivable NFL All-Terrain Vehicle! This 85-piece buildable ATV is the perfect way to create a memorable halftime show or to unlock your imagination beyond the sidelines. 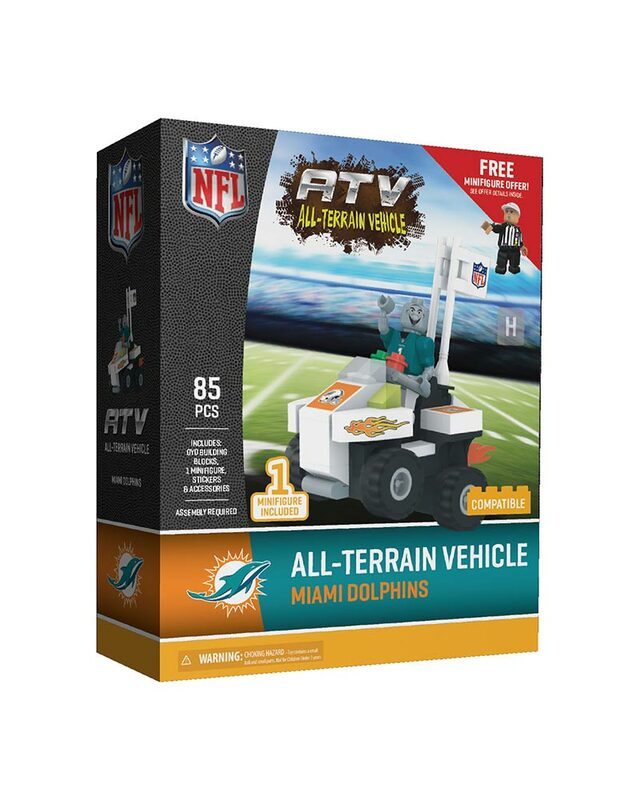 The ATV is fully customizable to your favorite NFL team and comes with cool accessories like team decals, onboard team flags, team mascot minifigure, exhaust flames and much more! The perfect gift for the biggest (and littlest!) sports fan in your life. Includes: Team flags, exhaust flames, team decals and 4 rotating tires. 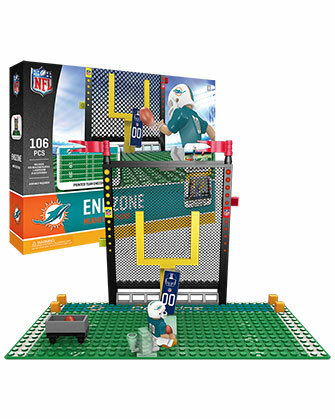 Includes a redemption offer for a FREE NFL player minifigure. Had an expired coupon included inside of box.